Aah Monday morning…can’t say that I’m a fan of you. I’d rather have Tuesday come twice. 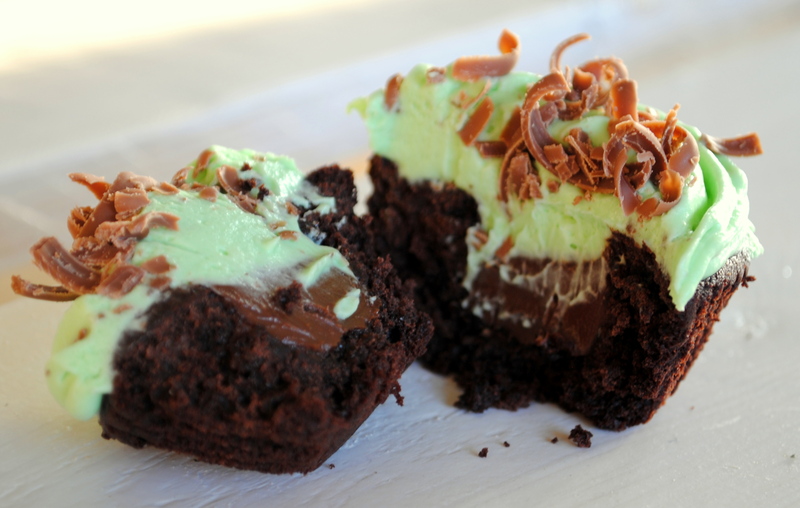 But what better way to start a Monday than with delicious mint and chocolate cupcakes – this is definitely one that is worth going the distance for. It’s like a giant peppermint patty. This was a great start to the week and I got to experiment with a white chocolate mint flavoured green icing. Absolutely delicious when paired with a rich chocolate cake, filled with a molten hazlenut cream centre. After a weekend spent sailing and enjoying some fresh air, I had time to think about a new and creative recipe. 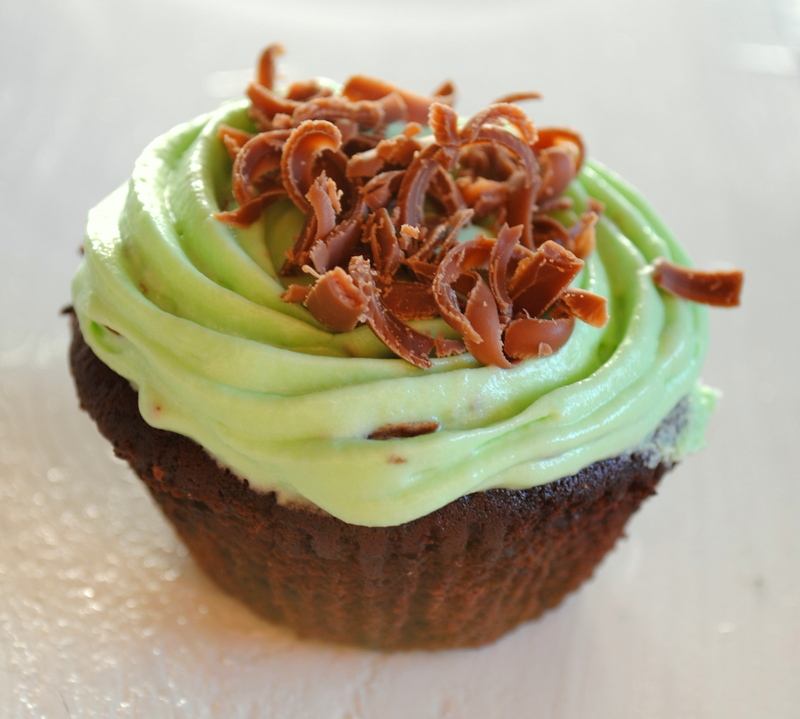 Everything was going great – cupcakes were baked and iced and had just been packed into the cupcake carrier. In typical clumsy me fashion, I made a long reach for cupcake container and in mid air, let them slip. In slow motion, I watched them fall to the ground and all the icing smudge onto the neighbours as the cupcakes made a tumble. No! I couldn’t believe it. Luckily, I was able to rescue a few that were required and much needed to get us through the Monday morning.